1996 was the year that ACTA was born, starting off in the old Sunninghill Shopping Centre. 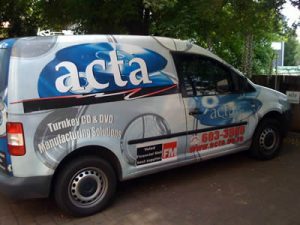 The main focus of ACTA was that of a one-stop print shop – we had three manual CD silkscreen printers pumping out what we thought was huge amounts of discs! 500 printed discs per machine per day. With a vision of the future media industry, ACTA was the first in the CD duplication market, setting the trend for others to follow. 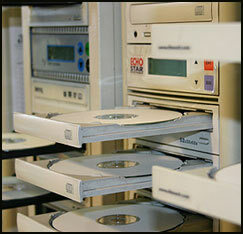 ACTA remains the leader in duplication and replication. 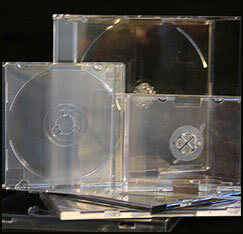 Digipaks are the modern packaging choice for your replicated CDs and DVDs. Printed on High bulk stock with machine varnish stock packaging with a clear plastic tray inside to hold your discs, Digipaks offer a professional and eye pleasing way to store, package and promote your audio or film projects. Digipaks make a great statement about the quality of your content. We can also custom make any pack you require. 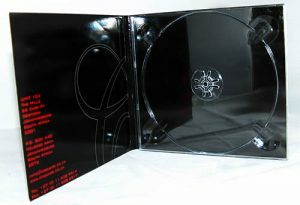 4 panel Digipak typically used for CDs, full color printing throughout with a clear disc tray. typically used for CDs, full color printing throughout with a clear tray. 4 panel Digipak typically used for DVDs, full color printing throughout with a clear tray. 2 disc version of the 4 panel Digipak, full color printing throughout with clear disc trays. 2 disc version of the 6 panel Digipak, full color printing throughout with clear disc trays. Today we are in a large corporate office in the hub of Rivonia, with our 5 colour Pioneer silkscreen printer, the leader in the industry. 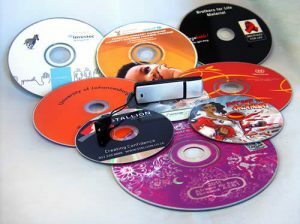 It produces sharp, clear silkscreen clichés on your disc, leaving you with a superior print in the CD and DVD industry. 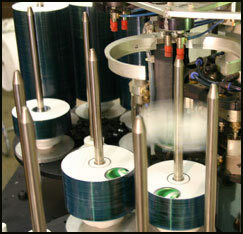 Our silkscreen printer is capable of printing on CD's, DVD's, mini CD's, mini DVD's and digicards. Together with technology, up-to-date duplicators, computers and replicators, you are assured of top international quality products. Conceptualisation to completed printed product, the hard working professionals with a personal interest in the success of your media duplication, print or packaging project will meet with you and have your best interest in mind. We are what we repeatedly do, perfection and deadlines are merely in a day’s work.